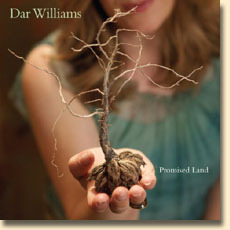 SONGS FROM "THE GREEN WORLD"
OTHER DAR WILLIAMS SONGS: For the rest of my transcriptions from The Honesty Room, Mortal City and End of the Summer, plus transcriptions by other Dar Williams fans, visit the Wayback Machine version of the Music page at www.darwilliams.net. But you are not welcome (D)here"
And their (Dm)"Trust me baby, I'm the one you (F)need"
The man said "Do you (E)know what a fascist (Am)is?" But you're scraping by, taking orders from (A)above"
(Bm)But tell me where are your (F#m)stocks, would you do this a(D)gain? (Bm)And tell me who made your (F#m)clothes, was it children or (D)men? It doesn't sound like Dar's guitar is actually playing the Bm/A chord in the first and last verses (she just stays on the Bm), but it sounds like the backing instruments are playing that /A in the descending bass line during the second verse. So, I've left it in all the way through . . . it sounds better that way. (F)Yeah, I see it too"
Oh, where is the (Em)sun shining for every(Bm)one? Where is the (Em)sun shining for every(Bm)one? Is there anybody (D)in there? Can you (Em)show me where it hurts? I do believe it’s (D)working. Good. What's your new (Dm) bag? Something (G)real or just some (C)hype? (Dm)Why shouldn't you have your moments of (G)genius? (Dm)Just because our alliance broke with no (G)civil (C)words between us? (Dm)Can't they see that your rein is steely and (G)torturous? (Dm)We'll both live in our worlds of civilized (G)people. And I (G)thought West Point was (D)Camelot in the (Asus)spring. Note: Dar plays the D chord in the third position, meaning all you need to do is put your fingers in a shape of a C chord and play it at the third fret. Said "This is (C)greed, this is wrong, fight your (D)war at home"
(D/F#)Shall we just go (G)on? Are the dreams to come (G)after? As he (F)shakes the woman's hand he says "We need a few good (C)men"
And (G)smiled, and said, "She who loves (E)last loves best"
The couple of times I've seen Dar perform this in concert, I'm pretty sure she's done it in DADGAD, and that's how I play it. But it's got some pretty intricate fingerpicking -- intricate enough that I'd only be able to explain it in TAB, which I don't know how to do. So what I've done is transcribed an E-Z version in standard tuning, which actually sounds pretty true to the recorded version. (D)Betty said "This one is mine." Pretty straightforward song. Between all the (G) and (Em) chords, walk down with an F# transition note on the second fret of the low E string. Of course, if, like many people, you find barre chords daunting, you can always play the chords in their standard positions, with the Em9 being played 022002. Don't worry, I'll never tell. Four simple chords . . . you couldn't play this one wrong if you tried. This isn't on any of Dar's official releases, but a lot of people have asked me for the transcription, so, well, here you go. And (Dm)why is it Arizona (G)hasn't gone solar?